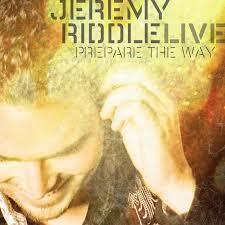 Few artists have the ability to communicate truth and inspire worship the way Jeremy Riddle does in Prepare The Way, his first live concert recording. In truth, calling these 13 songs, recorded live at the Student Life Camp at South Padre Island, TX earlier this year, a ‘concert’ doesn’t describe the powerful worship that those in attendance experienced on this special night. Mixing his own compositions like "Sweetly Broken" and "Christ Is Risen" with popular worship songs like "How He Loves", the album is less of a souvenir of Riddle’s success and more a document of God’s movement among His people. Talk to anyone who has experienced Jeremy Riddle live and they will tell you his gifts go far beyond those of a talented singer and songwriter. In fact, Riddle’s ability to turn mere listeners into active participants inspired the following warning sticker to be placed on all CDs: ‘Listen with caution while driving – may cause spontaneous worship & removal of hands from steering wheel’.